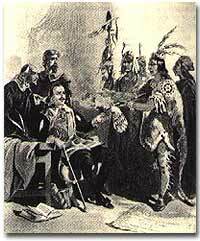 Massasoit, sachem of the Wampanoag tribe and father of Metacomet, meets with settlers. The Wampanoag helped the settlers survive their first winter by providing them with much needed supplies. But as more and more colonists arrived in New England, their relationship began to deteriorate. When the British set foot on the North American continent at Jamestown, they encountered the Powhatan Indians. The Pequots and Narragansetts lived in New England as the Pilgrims and Puritans established a new home. William Penn encountered the Leni Lenape natives while settling "Penn's Woods." Although these tribes have great differences, they are linked linguistically. All of these tribes (or nations) speak an Algonquin language. These Algonkian (or Algonquian) groups were the first the English would encounter as these early settlements began to flourish. Which word is correct? When anthropologists classified Native American languages, they took all of the languages of the same language family as the Algonkin tribe (also called the Algonquin tribe) and called it the Algonquian or Algonkian language family. Algonquian and Algonkian both refer to the Algonquin language or to the group of tribes that speak related dialects. Therefore, the Algonquian tribes (including the Delaware, the Narragansetts, the Pequot, and the Wampanoag) are so called because they all speak the Algonkin or Algonquin language. The group of Native Americans that lived in Pennsylvania and the surrounding area before European settlement referred to themselves as Lenni-Lenape. It was the Europeans who called them Delaware. The Algonkians relied as much on hunting and fishing for food as working the land. These tribes used canoes to travel the inland waterways. The bow and arrow brought small and large game, and the spear generated ample supplies of fish for the Algonkian peoples. Corn and squash were a few of the crops that were cultivated all along the eastern seaboard. This painting, by Tall Oak of the Narragansett tribe, depicts a scene from King Philip's War which pitted Metacomet against the British settlers. As the first group to encounter the English, the Algonkians became the first to illustrate the deep cultural misunderstandings between British settlers and Native Americans. British Americans thought Algonquian women were oppressed because of their work in the fields. Algonkian men laughed at the British men who farmed — traditionally work reserved for females. Hunting was a sport in England, so British settlers thought the Algonkian hunters to be unproductive. The greatest misunderstanding was that of land ownership. In the minds of the Algonkians selling land was like selling air. Eventually this confusion would lead to armed conflict. The Powhatan organized a confederacy. Virginians were met with strong resistance as they plunged westward. In New England, Wampanoags under the leadership of Metacomet fought with Puritan farmers over the encroachment west onto Indian land. The pacifist Quakers were notable exceptions. Pennsylvania refused to raise a militia against the Indians for as long as Quakers dominated the government. Unfortunately, the good times between the groups were few. The marriage of Pocahontas to John Rolfe and the first Thanksgiving with the Puritans did little to prevent the fighting. In most cases, each side regarded the other with fear and suspicion. A site devoted to the 1992 film version of James Fenimore Cooper's classic novel Last of the Mohicans. Dozens of photos of film locations, accounts of film bloopers, filming anecdotes are mixed with serious discussions of historical accuracy. Beware! This site is not easy to navigate, but serendipity proves an ally in this gem-filled site. A study of cultures in contact, this site compares the Mi'kmaq story "The Invisible One" with Perrault's "Cinderella." Wappinger was originally the name of a small sachemship consisting of three villages on the east side of the Hudson near Poughkeepsie. Spelling variations are: Wappinck, Wapping, Wappingo, and Wawping. Text of the Treaty of 1677 between Virginia and the Indians. The Pequot are a Native American nation that speaks a dialect of the Algonquian language. This group has lived in southeastern Connecticut for hundreds of years and before European arrival in North America. Their website offers a brief history of the Mashantucket Pequot Nation. This website from a Native American history buff tells the history of the Pequot people. 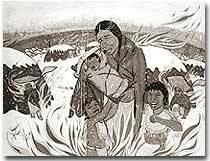 The Pequot story begins before European contact and continues well after their arrival. There are many links that provide more information on this Algonquian language group. There are hundreds of Native American groups that are under the umbrella of the Algonquian language family. One of these, the Delaware, called themselves Lenape before the arrival of Europeans. This group occupied what would later be known as the middle colonies. 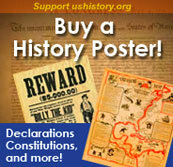 This independent website offers a comprehensive history of the Delaware.